So sometimes you just say "F*** it! 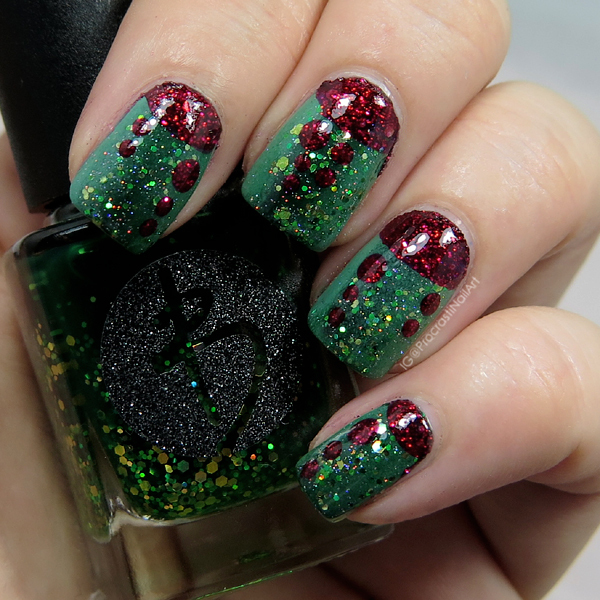 I want to put ALL THE GLITTER ON MY NAILS!" Today was that day. Haha. I legitimately had no plans in mind when I started this manicure, I just had a handful of polishes and went at it. 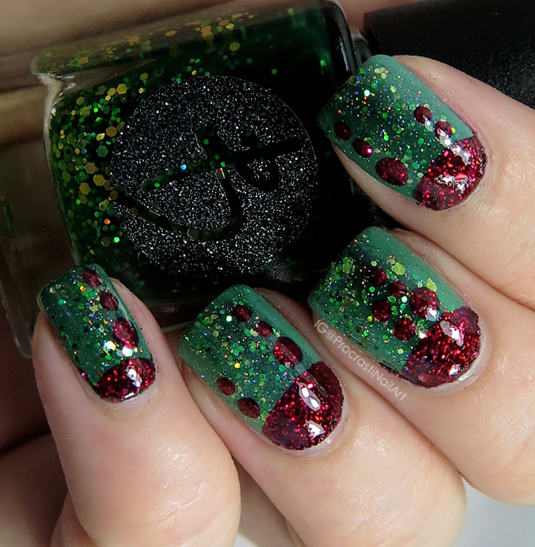 I ended up starting with a vertical gradient (that you can barely see) with OPI Christmas Gone Plaid and Color Club Martian, Martian, Martian! 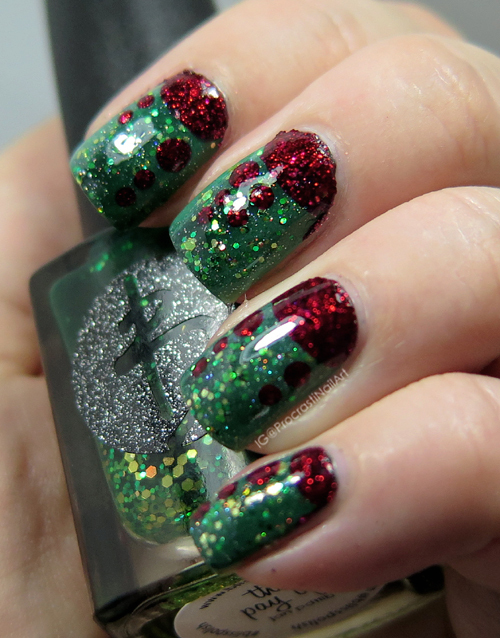 Then I decided "GLITTER" and sponged on some Bliss Polish The Pay Off along the middle. When that was dry I was like "Hmm... am I done? I don't think so!" So I took Zoya Chyna and freehanded some halfmoons and dots because why not. Seal it all with two layers of top coat to smooth it all down and there you go! GLITTER FEST! glitter all the things!!! :) what a fun look! It really works! Loving all of that glittah! The mix of glitters here is beautiful!